The correct way to replace a roof is to totally remove all the old shingles and install new ones. This is particularly true if the shingles had been damaged. The positioning of new shingles on old shingles creates gaps and spaces to collect moisture and dirt. This may result in damage and deterioration faster than when the process is done correctly. Before installing your new roof, make sure your roofing contractor has completely removed all the old roofing material. Even though your shingles do an excellent job of discharging water from your roof, the correct moisture protection is essential. This barrier protects your cover not only against rain but also against the collection of moisture, such as snow and ice. To ensure complete integrity of your roof, the nail positioning is essential besides the fixing length. It may cause some severe structural problems when they are placed inadequately. The nails should be placed under the upper layer of shingles instead of leaving them exposed to harmful sun, wind, and moisture. This can help prevent them from being corroded which eventually stops holes in your shingles. While it gives your home a certain aesthetic appeal, your shingles overhang your house eaves for a very good reason. If you don't hang over your roofing materials, you may experience wind damage which may blow wind under your shingles. Make sure your roofer gives the right overhang to your roof. Many homeowners don't know how important ventilation is when thinking about roofing repairs and replacements. Hotels and different companies use primary roofing materials to ensure that their roof is not just structurally sound but is correctly vented. If the roof is not sufficiently ventilated, excess heat and moisture collection can happen. The city can instruct you to remove it or stop work if the permissions are not obtained before building a new roof. You might find it difficult to convince the insurance company of your homeowner’s policy to continue to cover your property. Your roof replacement project may require a permit. 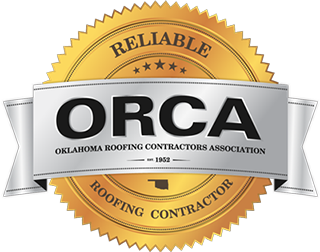 Experienced roofing companies in Tulsa with a license should ensure your new roof is authorized. However, when it comes to this, you should know your responsibility. Never sign a contract without reading the fine print, particularly a contract for roof replacement. A price and all details of your payment responsibilities should be included in your contract. You need to know this information before engaging with a contractor. The deck on your roof provides the basis for the shingles on it. Because this is one of your home's most important aspects. You will want to ensure that all decks are inspected by your roofer, in order to ensure that they are properly formed and installed. You should consider how well your shingles or slate matches especially if you are using a dormitory roof rather than a hinged roof on your home. Even slate from the same source can be colorful in many different ways. When the slate is on the ground it may look different than on your roof, you will want to achieve a correct consistency in slate coloring. You should ensure that the new flashing is properly installed in addition to replacing your flashing. If the roof flashing is misaligned, overlapped or not fastened adequately, it is not ready for protection against ice, rain or snow. Whenever improper nails are used to fix your shingles, you risk loosening shingles. This can lead to premature replacement and repairs of your roof. Make sure you use nails that are well into the deck so that you can be safe. You can count on Elliott Roofing for a good experience in roof replacement. 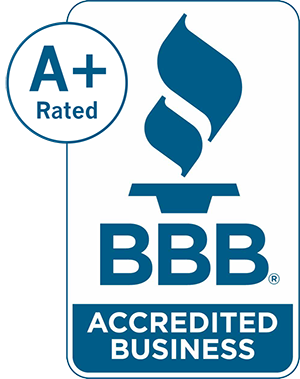 When looking for roofing companies in Tulsa, rest assured we will provide you with a beautiful roof that goes beyond your expectations! To receive a free quote, call us today.